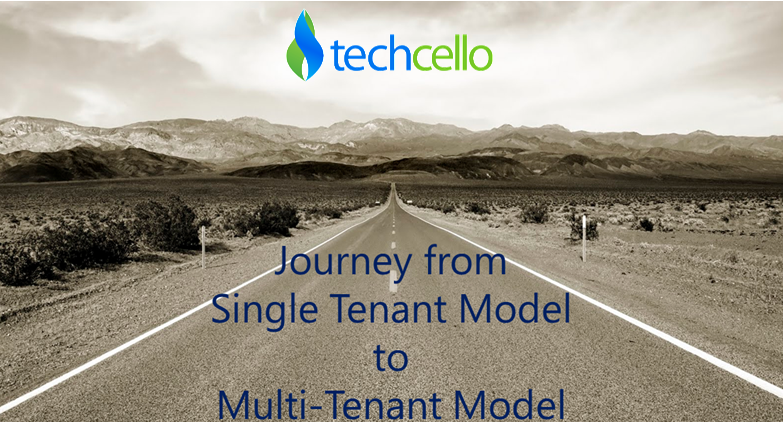 When ISVs move from an on-premise model to a SaaS model, it is quite common that they take the route of Single tenant model. What happens when they grow beyond 15 customers is they start realizing the pain of maintaining a single tenant model both from cost and effort as well as from a quality perspective. When they make an attempt to move towards a multi-tenant model, they are stuck with more strategic decisions than technical decisions. The foremost roadblock towards the move is – Multiple versions for different customers. The misconceived business advantage of single tenancy which once allowed them to customize anything and everything for a customer turns as the biggest business disadvantage for growth. It is easy to imagine the difficulty of maintaining specs, test cases, upgrade plans, technical documentation for all these versions and the effort required for it. Hence, many of these processes are diluted, which leads to onerous confusions and quality defects. What exactly should their plan be in solving the above problem, how should they approach it both technically and strategically? c. Field visibility. The number of fields required by one customer might vary from other customer. For example, in an employee management system some customers need Passport details and some would not want to show the field. a. Additional information fields. Customers might need additional fields to be captured than what is offered in the product and the kind of fields can vary from customer to customer. For example in a loan processing system, the kind of information fields that the system has to capture could completely vary from one lending organization to another. b. Data level validations. Some customers might need different validation logic across fields. In the same example above one lending organization could need different validation logic for the fields from another. a. Business process level changes. Manual workflow could be different based on the need of the customer. For example, in a SCM order processing workflow could be different from one customer to another. a. On premise integration. Some customers might require their on-premise systems to be integrated at certain scenarios while others might have a different scenario for integration. a. Additional Reports. Some customers might demand additional reports on top of the pre-canned reports for viewing and export purposes. These report needs could be completely different between one customer to another. a. Additional informational screens. Some customers might require additional screens to capture information for ad-hoc use cases. For example, in an employee management system one customer might want to capture training related details of an employee other than what is offered in the product and another might want to capture vehicle details of the employee. b. Changes in existing features. Customers can demand completely different navigations, business logic within existing features. Even with a solid configuration framework, products may still demand (to meet the 1% variation) different coding level implementation to address the customer variations. To achieve this instead of maintaining different code bases it is advisable to adopt configurable tenant based code extensions where the extensions get executed at the right scenarios for the respective customer. The architecture of your core product would look something like this. Once the technical approach is arrived, ISVs can be assured of the move towards Multi Tenancy and start their migration. Please refer the whitepaper “SaaS migration Strategy“. Techcello’s SaaS development framework inherently builds configurability to your SaaS application via which all the variations we discussed can be easily addressed. To know more about Techcello click here.